"Chris helped us buy and sell at the same time. He is personable, responsible, responsive, and fun! We loved working with him. Chris knew exactly what we were looking for. He knew before homes had come on the market and helped us get in to look at them before the open house madness. He also helped us make a reasonable and aggressive offer on our home. Finally, in terms of selling, he helped us price competitively so that we had multiple offers above asking. Chris is a true expert." "Chris was wonderful to work with. He knew the market well, was persistent, and helped make a stressful process much less stressful. I'd highly recommend him." "I just completed the purchase of a 3-bedroom condo through Chris, and he made the process very easy and pleasant. He was ready with a solution when I ran into a bump in the process and everything worked out very well." "We recently sold our condo in Boston. Chris was great to work with and made the process easy. His years of experience were valuable in offering his advice as we worked through each step of the process. He was able to help in getting the condo ready for the market which was a life saver during a busy time. 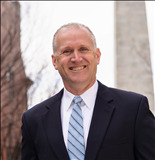 I highly recommend Chris to assist when buying or selling real estate in Boston." "I have really enjoyed working with Chris Remmes on selling my condominium. His approach made me comfortable with the process and helped me understand the necessary steps needed to prepare for property showings as well as inspections and final closing. I highly recommend choosing Chris Remmes as your realtor whether you are a seller or a buyer." "We have recently purchased an apartment in the South End, and without Chris's help and expertise we would not have found a apartment that suited all our requirements. Chris goes the extra mile to make sure that he finds suitable houses that he knows we would like. Having worked with him for a couple of years now, he knows us more than we do when it comes to house hunting. Definitely worth talking to him for house hunting. We would not have chosen anyone else to help us. His negotiation expertise and responsiveness to changes in the market are what make him better than anyone. This coupled with his in-depth knowledge of Boston and Greater Boston." "Chris was really great to work with! His experience in the Boston area was critical since we ended up purchasing in a neighborhood we were relatively unfamiliar with. This was our first home buying experience and he was very patient with all of our questions along the way. Thanks Chris!" "Chris is a true professional. He knew exactly which property was right for me and did everything in his power to ensure the sale went smoothly. Chris is patient, responsive, and willing the go way beyond what is required to ensure his clients are well represented. I highly recommend him!" "Chris was great to work with during a stressful time of looking for a home. He was very responsive and easy to get a hold of, and took the time to look at MANY open houses with us! He gave us his honest opinion and listened to what we were looking for. Not only would we highly recommend Chris as an agent, but we would use him again!" “Chris has been awesome as both a buyer’s agent and a seller’s agent for us since 2009. For example, when our son was beginning college and relocating to Boston, Chris was instrumental in helping us acquire a reasonably priced condo in a safe neighborhood convenient to campus. Our goal was to try to break even over the 4-6 years that we expected to own the condo instead of paying exorbitant rent or dorm charges during that time. When our son decided to relocate to Austin, Chris listed the condo for sale and it was under contract in about a week for the full asking price and a waiver of the inspection contingency and the mortgage contingency. “Needless to say, Chris exceeded our expectations and the condo investment exceeded our financial goals. Secondly, we regularly visited our son in Boston and loved spending time there so we asked Chris to help us find a single family brownstone to acquire. In 2011, we purchased a wonderful property located in close proximity to our condo and have enjoyed using it for vacations to Boston ever since! We recently sold it after our son’s relocation to Boston. Again, Chris was instrumental in finding the right buyer for this single family brownstone and, as an investment, it exceeded our financial expectations as well. "It was a great pleasure working with you. Without your insightful knowledge about the specific Fenway market this transaction would not have happened." "I worked with Chris for 2 condo purchases and I have to say that I am very impressed and satisfied with his knowledge, responsiveness and expertise. He is definitely the choice for the Boston area. Totally recommended."